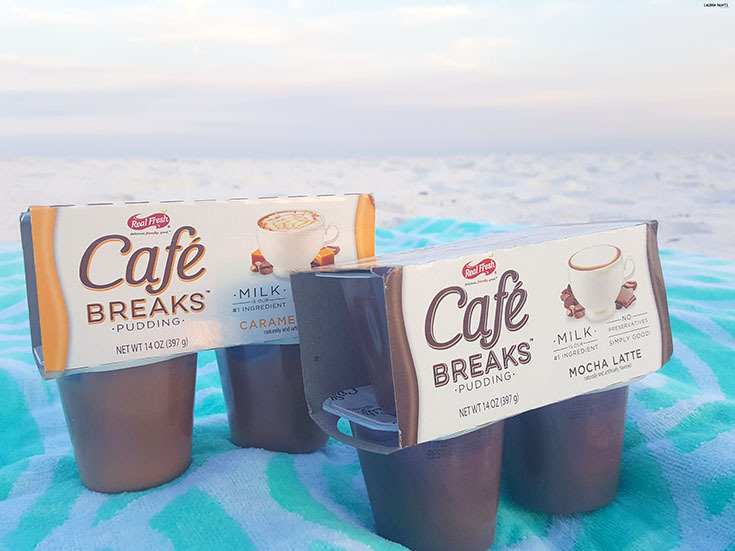 Take a Break with Cafe Breaks Pudding! Thanks to Cafe Breaks for sponsoring today's discussion, regardless all opinions expressed below are my own. Well, it's official...We are in the double digits with our countdown to Delainey's due date which is overwhelming (and exciting) to think about! We have SO much left to do before she arrives, from possibly painting her room to buying diapers and other little necessities... It's such an exciting time for us, yet such a stressful one since we want her to have everything she could ever need or want before she even arrives. I know 99 days seems like a while, but after realizing how quickly the 2nd trimester went by, I know the next few months will fly by and she'll be here before we know it! It's not just this week I'm stressing about either, I'm compiling a Baby Shower Gift Guide and have TONS of amazing products to share over the upcoming months and I'm trying to keep up with my planned posting schedule and share other awesome stuff with you... While also trying to help my sisters plan two separate baby showers in two different places! I guess you could say I'm feeling a bit overwhelmed with everything I need to accomplish! There's a lot going on in my world... and I know for some people this may just be their way of life, but for this introverted little blogger it's truly the definition of "adulting" and I'll admit, sometimes I need a break. It may sound like I'm complaining, but I swear I'm not... I'm so incredibly blessed to have all of this going on and almost everything that's on my agenda is going to be enjoyable! It's just that sometimes life gets so busy I think I forget to breathe and this upcoming week is one of those times in life I need to just take a break from it all. Instead of stressing myself out and possibly making things worse by neglecting my needs, I decided to take a step back this morning and remember what life is all about. 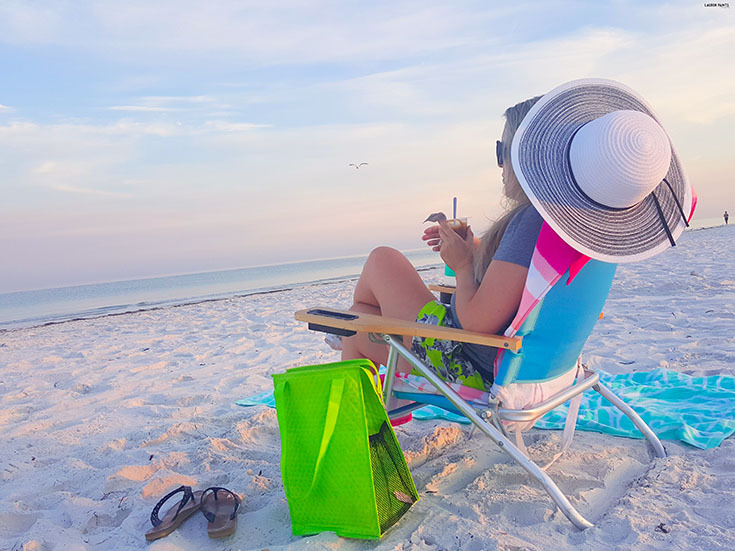 With a little morning snack, a nice big cup of water, a beach chair, and a couple of snuggly towels in hand, I decided to head on over to my favorite secluded beach and enjoy the sunrise. Indulging in a Cafe Breaks Caramel Latte pudding while watching the waves roll in and the pastel colors change over the horizon was the most relaxing thing I've done for myself in a while. 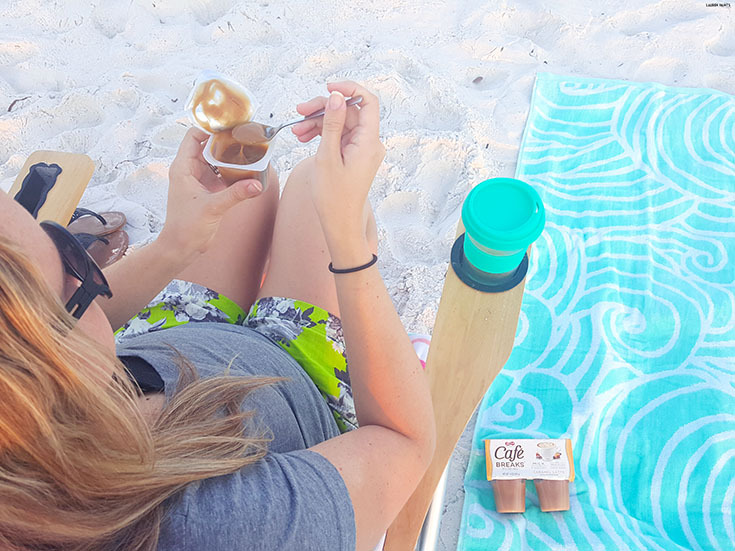 It was such a simple way to relax, basically something we teach children to do - grab a snack and find a spot to unwind... yet it was exactly what I needed to regroup! 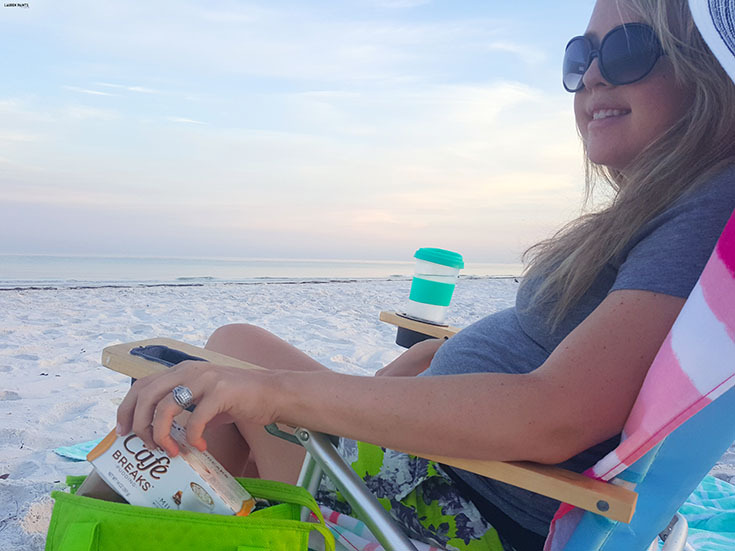 I was able to relax with just a deep breath of the ocean air, a beautiful view, pure silence, and a delicious snack while feeling Delainey kick around. It was a dreamy way to spend a few minutes this morning and I left the beach feeling happy and rejuvenated! 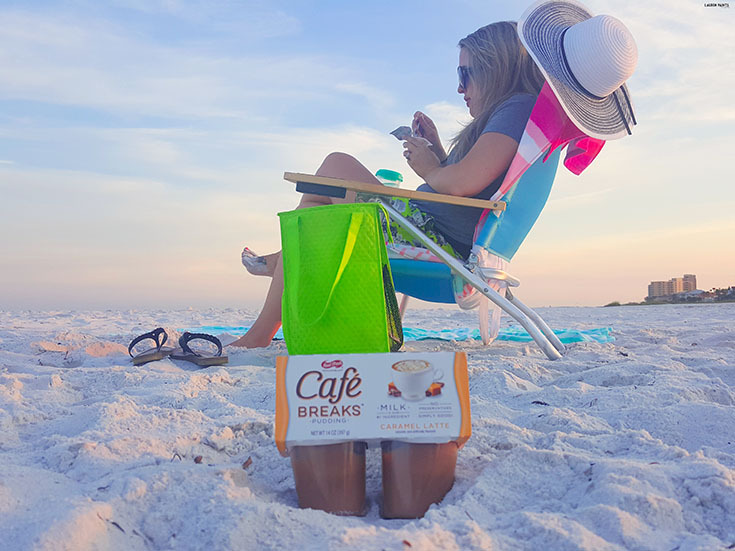 I understand you may not be able to slip away to the beach for your "break", but you can take a moment and enjoy a Cafe Break... Found at Walmart, Cafe Breaks come in flavors like Mocha Latte, Caramel Latte, Chai Latte, and French Vanilla Latte! These little cups of heaven are the perfect way to indulge - even if it's only for a moment! Plus, if you use the Ibotta app, you save 50 cents on your purchase making a pack of four of these delicious treats less than a dollar! 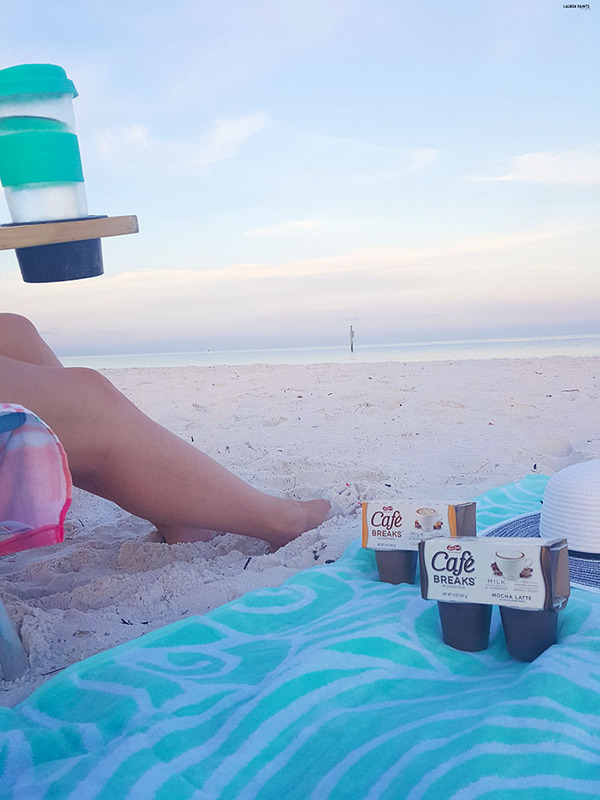 Not only are these snacks on sale with Ibotta and the most delicious way to take a little break and enjoy yourself; Cafe Breaks are also gluten free, 100 calories or less per cup, and super convenient so they're ready to help you relax whenever you need a moment, wherever you are! So go ahead and grab a pack next time your grocery shopping and take a break when you get home, a Cafe Break!